Since the launch of Apple’s App Store in early 2008, there has been millions of Apps developed for the iOS platform. The number currently stands at well over a whopping 500 Million. That’s a lot of apps to try, and I’m sure that no one in the world has tried all of them. Most of the apps available on the App Store go for free, some cost a little amount of money and there’s the other apps that cost more than your iOS device. These are the most expensive iPhone apps that you can find on the App Store, although, you’d never actually want to even check it out, because it doesn’t have a lot to do with normal users. A regular iPhone, iPod Touch or iPad user would normally pay anywhere from $1 to $50 for an app. That price tag is nothing compared to the ones that I’m going to talk about today. Saying that they cost more than your iPhone is an understatement, heck they even cost more than your laptop and phone put together. Most users would think twice before paying even $2 or $3 for an app, whereas the apps that I’m about to talk about , cost about $999. These, then, are definitely the most expensive iPhone apps that are available in the app store. Good thing that the App Store has a maximum price limit of $1000 for an app. You really have to be more than a millionaire and in desperate need to own one of these apps to think about buying them. Also, it’s not like these apps can turn your iPhone in to a unique mobile phone or something. Anyways, here are the top 6 most expensive apps that are available in the App Store that will certainly burn a deep hole in your pocket. Like the name of the app suggests, this app will put you on a elite list of members who get super special treatment at Hotels, Restaurants, Clubs etc. This is a million dollar app, well it costs $999, but to own it you need to have at least $1 million in your bank account. I’m not even joking here, whatever I stated in the last sentence is entirely true. 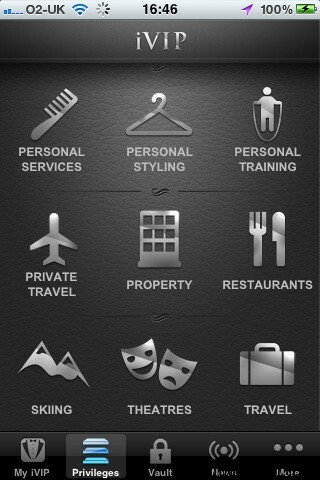 With the iVIP Black app, you can book private jets, yatches, islands and what not. If you want to show off your money, this is an app you should have on your iOS device. Download iVIP Black if you’re a millionaire. This app, unlike the one above, is actually useful to some people in the world. iStutter is for those people who stutter when speaking or have such a condition. 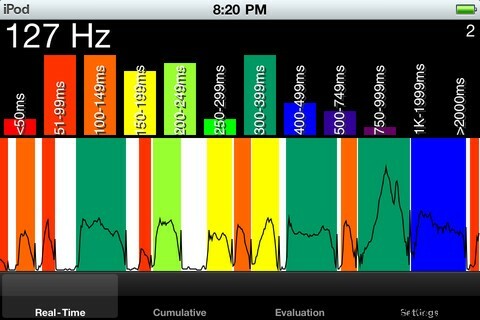 With the help of this app, apparently, they can get rid of their stutter or reduce it. I’m not really sure if it works and may never know, but according to the App Store description the app works! The app can analyze the vocal fold activity of the stutterer and then gives delayed auditory feedback to help users slower the stutter and regain normal speed. 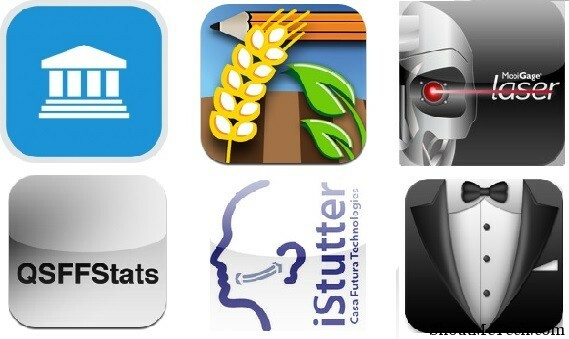 For an app that can help you lose your stutter, the price tag doesn’t really mean a lot. 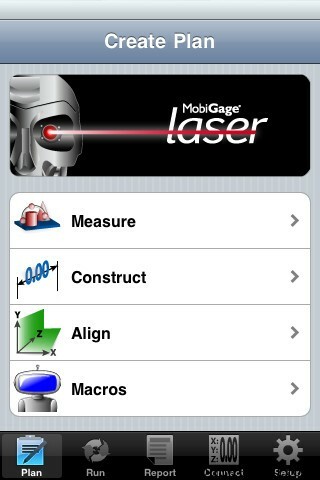 MobiGage Laser is an iPhone app used for inspecting manufactured parts and assemblies at various major production companies and warehouses. The app requires a measurement device for performing all its tasks and the good thing is that it can connect to almost all the industry standard measuring equipment. The desktop version of the app cost $25,000, but the mobile app doesn’t provide all the features of that. A very useful app for industrialists and manufacturers, but I can’t think of people using this app instead of their laptops. Sure, in certain scenarios this app would be very useful. 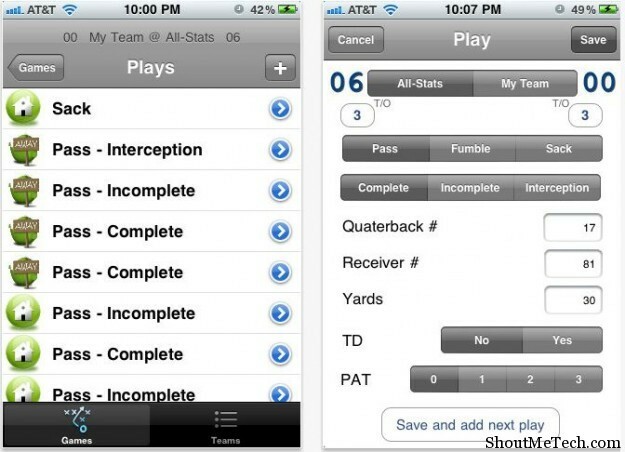 If you’re an American football maniac and want to stay ahead of all the latest happenings with the players, teams and receive all the flag football stats, then you should probably get this app. It lets you track all the football stats and also lets you set multiple team lists, games according to Location, Fields, Dates, Times, upload Play-By-Play Stats by Email and send the CSV File as an attachment by email. And as the Super Bowl is the most watched and one of the most payed game in the United States, I think they are people that will QSFFStats app. Agro is a must have app for the rich and modern farmer or agriculturist. With the help of this app, farmers can note down everything that’s going on in the fields in a report, including the condition of the crops and soil. 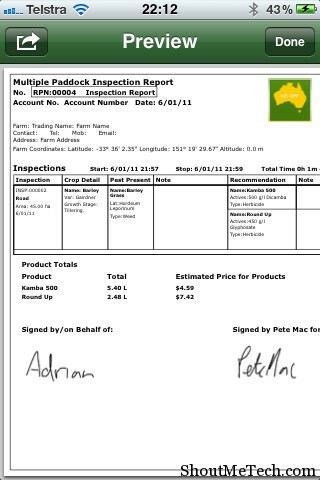 Agro App allows Agronomists to create and email paddock/field inspection reports while on farm, have it distributed there and then. Eliminating trips to the office to type up reports. Eliminating trips to the office to type up reports.The app basically stores tonnes of client details so your job becomes easier. For an agronomist, this app can be useful, as they wouldn’t have to do trips from the farm to the office all the time to submit a report. There you go, a high-class list of the most expensive iPhone apps ever! I’m not going to ask you to try it out, because I haven’t either, I can’t and I don’t want to. But, in case you feel like it and end up buying any of these apps, then do tell us how it made you feel and what you could with the apps. Specially, if anyone has used the iStutter app, do let us know if it really works. If anyone is going to buy those apps, think twice because it doesnt cost [999.99] it costs a million.